Responsible manure nutrient management improves environmental quality while maintaining agricultural productivity. Multiple organizations and individuals play a part in improving the understanding and practice of responsible management. But how does manure nutrient management information flow? The “Pathways” project’s goals were to understand and delineate pathways for effective information dissemination and use among various agricultural professional audiences that facilitate successful integrated (research/outreach/education) projects and programs. This presentation examines the relevance of partnerships within the manure nutrient management network and barriers to these partnerships. We disseminated the “Pathways” survey online utilizing the mailing lists of several professional and producer organizations and listservs associated with manure management. There were 964 surveys started and 608 completed. The six types of organizations with more than 10% of the total survey population’s responses were university/Extension; government non-regulatory agencies; government regulatory agencies; producers; special government agencies; and sale or private enterprises. The South Dakota State University Institutional Review Board deemed the survey exempt under federal regulation 45 CFR 46.101 (b) (IRB-1402010-EXM and IRB-1502001-EXM). 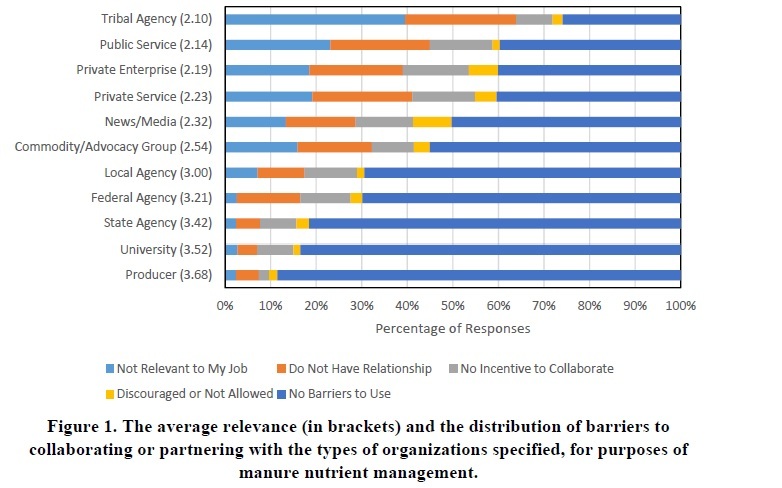 The survey posed “How important is collaboration with each of the following groups related to manure nutrient management?” Figure 1 shows the mean relevance among all survey participants, evaluated on a scale of 1 (Not important/somewhat unimportant) to 4 (Highly important). On average, all potential partner groups were recognized as important (>2). Partnerships with producers were deemed most important (3.68) by all survey respondents. After assessing relevance, we asked survey participants to indicate what barriers, if any, deter them from collaboration with each of the following groups related to manure nutrient management (select all that apply). 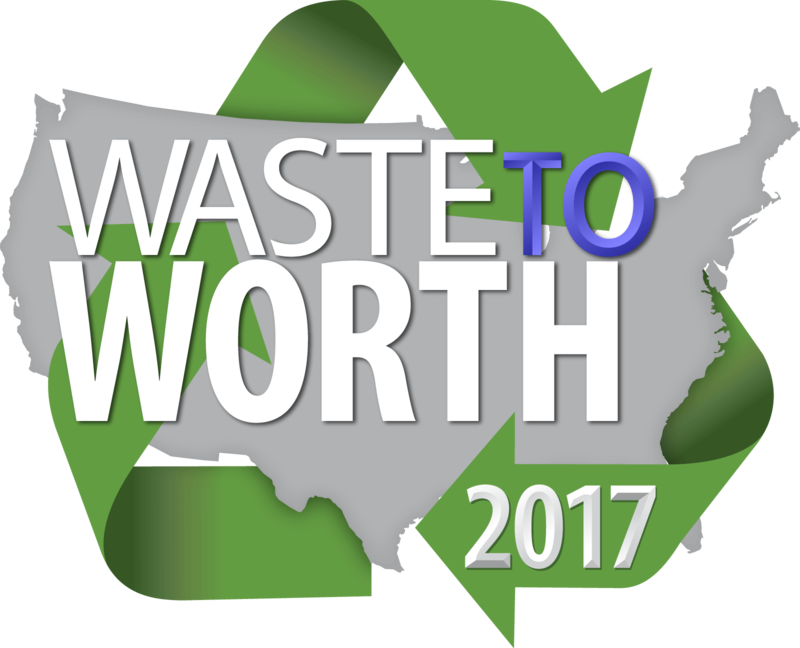 For all potential partners listed, with the exception of tribal governments, “No Barriers to Use” was the most selected option. “Do Not Have a Relationship” was a common and stronger barrier for commodity, sales and service partners, compared to government agencies, for example. The barriers “Discouraged or Not Allowed” and “No Incentive to Collaborate” were relatively small selections. The barrier “Do Not Have a Relationship” is possible to overcome at both individual and organizational levels, where needed. In the future, assessing the reasons for specific partnerships can further aid improving communication and collaboration in the manure nutrient management network. The Pathways Project greatly appreciates the support of the North Central Region Water Network Seed Grant, South Dakota Sustainable Agriculture Research and Education, and the collaborative groups of educators, researchers and agency personnel, for improving and advocating the survey.